Our slow cooker/crockpot recipes are some of our most popular. We normally list the cooking times on low because it’s easier for us to make it overnight but sometimes you might be pressed for time. 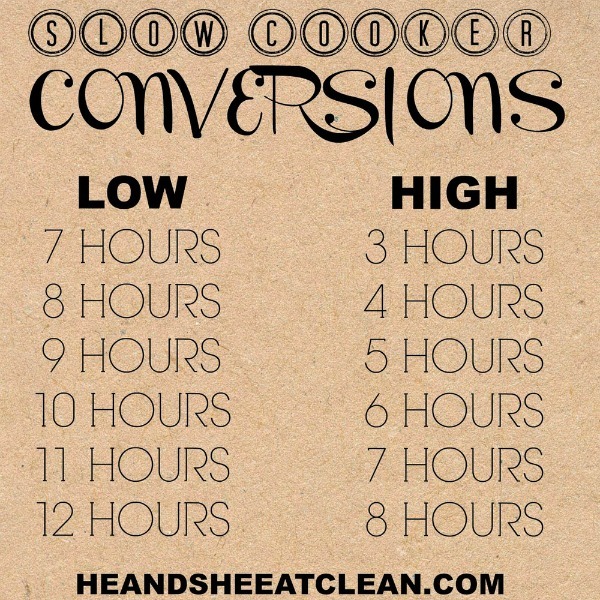 Ever wonder what the conversion is for our crockpot times? Well, we went to the source and got the information for you! Now you can easily convert your favorite recipes! Check out our Top 5 Crockpot Recipes here.